When I talk with people who are knowledgeable about the MENA region it’s pretty obvious one shouldn’t compare Egypt and Tunesia. Very different countries, very different histories, very different economies, sign of ignorance to lump them together. Obviously the international media doesn’t care much about the MENA experts’ opinions and happily talk about the region as a whole. But as a closet anthropologist I am intimidated by local-context-is-all type of rhetoric. 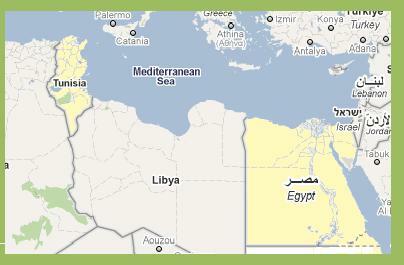 Now, what to think of the recently released International Crisis Group report on Tunesia? The Botherhood finds itself in an increasingly uncomfortable position, caught between non-Islamists who accuse it of excessive leniency and laxity in dealing with the security threat and Salafis who denounce it whenever it takes a harder line. Based on circumstances – a flare-up in violence or a wave of arrests – the party is condemned by either the former or the latter. The Brotherhood itself is divided: between religious preachers and pragmatic politicians as well as between its leadership’s more flexible positions and the core beliefs of its militant base. Politically, such tensions give rise to an acute dilemma: the more the party highlights its religious identity, the more it worries non-Islamists; the more it follows a pragmatic line, the more it alienates its constituency and creates an opening for the Salafis. Sounds pretty acurate to me as a newspaper reader in Cairo. The ICG is not by definition a benchmark of thorough scholarship, like most other policy think tanks they take political sides and are thus (somewhat?) biased in their assessments. But their assessments are based on lots of systematic fieldwork and their reports are to be taken seriously (although the recommendations are the usual “international community” kinda exhortations of “shoulds” that are not going to change anything). “The red lights are on, and we are moving from bad to worse,” Ziada said. He admits that the current government has also found itself in an incredibly difficult place, where social strife has made implementing economic reform near impossible. Looks like a situation wherein compromise is required, serious compromise. And that’s exactly what seems impossible when everyone makes self-centred strategic decisions, fantasizing about short-term gains rather than assessing longer-term risks. My bet would be that the most likely winners are going to be either more extremist islamists and their geo-political supporters or the shock doctrine disaster capitalists. This entry was posted in society and tagged Egypt, ICG, political analysis, Tunesia. Bookmark the permalink.